SLHL asked local landscapers to share their favorite indoor plants. Spider Plant. Justin Schmidt, Nursery & Retail Manager, Chesterfield Valley Nursery. Jurrasic Watermelon Begonia. Ann Lapides, Sugar Creek Gardens. Ficus Pandurata "Fiddle Leaf Fig." David Sherwood, Sherwood's Forest. Ponytail Palm or Elephant Foot Palm. Katy Molaskey, Green Guys. When the inclement fall and winter weather keeps you from your outdoor gardening, bring the outdoors in with indoor houseplants. SLHL asked local landscapers to share their favorite indoor plants. 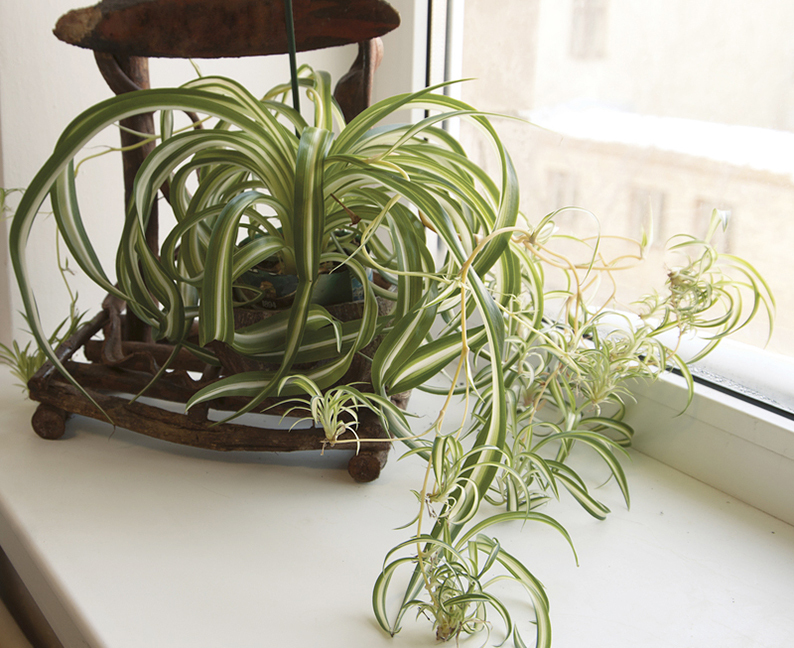 “Whether planted in a standard pot or used as a hanging basket, the Spider plant is the perfect indoor plant for easy care. They are extremely tough, quick growers and produce an attractive display with long shoots of flowers followed by hanging ‘babies.’ Spiders are also known to remove harmful indoor air pollutants making them an environmentally friendly addition to your home.” Justin Schmidt, Nursery & Retail Manager, Chesterfield Valley Nursery. “You can bring the bright colors of summer indoors for winter with Jurassic Watermelon Begonia. 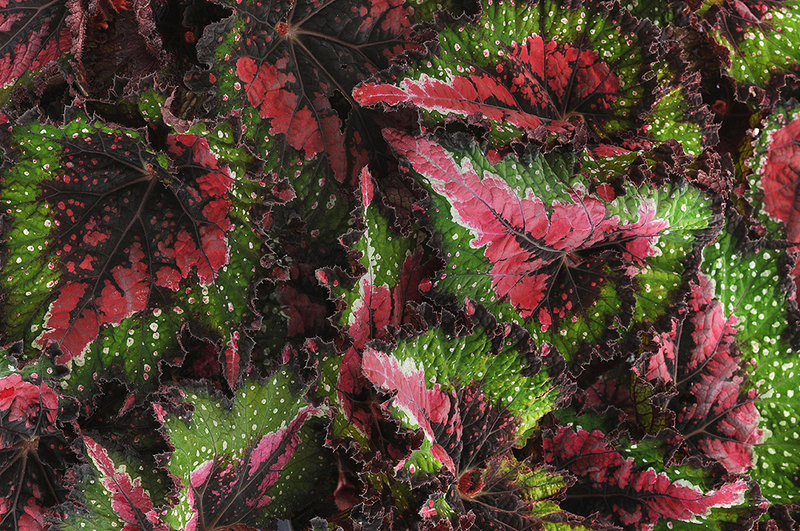 This Begonia's fascinating puckered foliage can reach an astounding 9" across. Extremely versatile, the plants can be moved outdoors in spring for stunning patio containers. It tolerates low-light conditions.” Ann Lapides, Sugar Creek Gardens. Ficus Pandurata "Fiddle Leaf Fig"
“Ficus Pandurata 'Fiddle Leaf Fig' is the easiest to grow of all ficus trees. 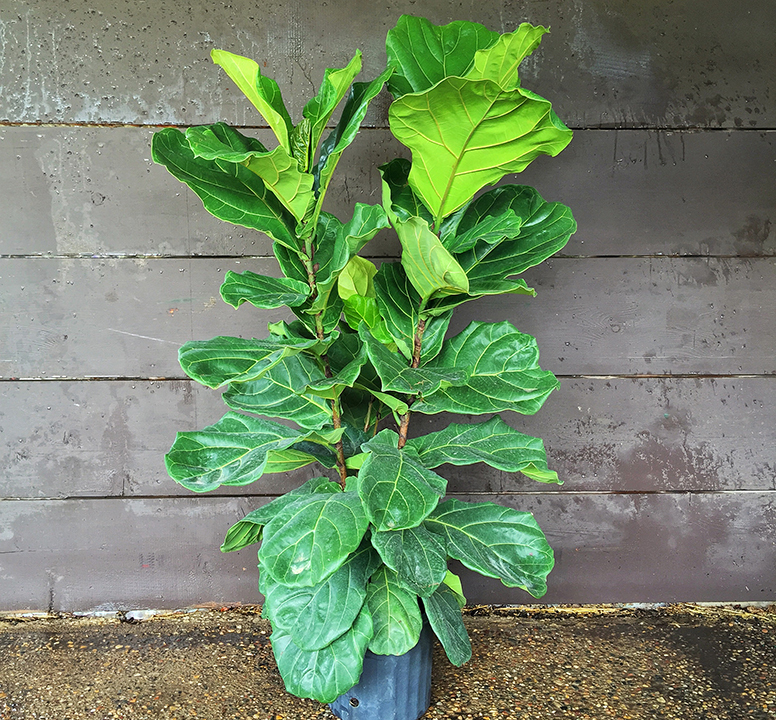 The fiddle leaf fig comes in bush or tree form and grows in bright or low light. Beautiful, very large leaves make a ‘wow’ statement in any room they are placed in.“ David Sherwood, Sherwood’s Forest. 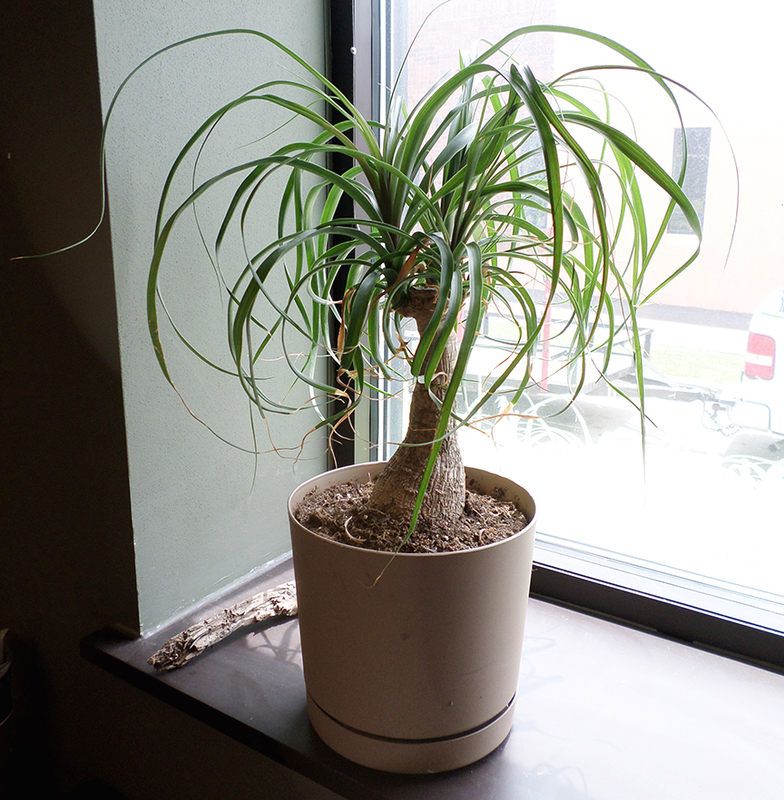 “Beaucarnea recurvata (Ponytail Palm or Elephant Foot Palm) is my favorite indoor plant. This unique plant gets both common names from its most distinguishing characteristics: the curled, bouncy foliage and the rough, bulbous base. As a succulent, it requires very little water and consistent sunlight to maintain a slow, but steady growth. Mine sits happily on the windowsill in my office and gets watered once or twice a week.” Katy Molaskey, Green Guys.